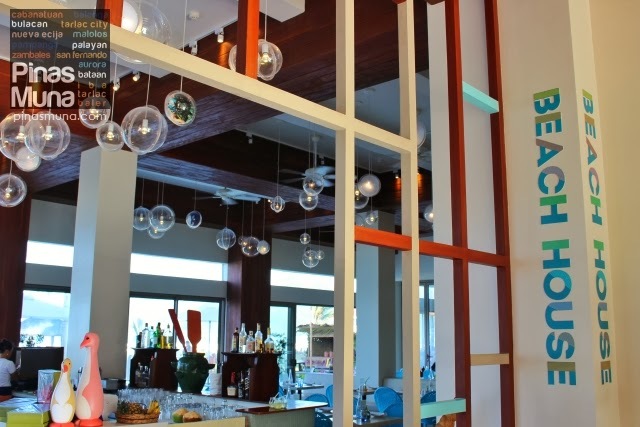 Beach House is Costa Pacifica's in-house casual fine dining restaurant serving savory international and local cuisines. The restaurant features wide open spaces with high ceiling and furniture in vibrant pastel colors, giving a laid back, cozy yet classy ambiance. Beach House is open from morning to evening and serves brekfast, lunch, snacks and dinner to both checked-in and walk-in guests of the resort. From the restaurant, one can enjoy a relaxing view of the resort's infinity pool and of Baler's Sabang Beach while enjoying the fresh breeze from the ocean. Chillout and lounge music sets the mood inside the restaurant, adding to the overall unique Baler dining experience that is Beach House. 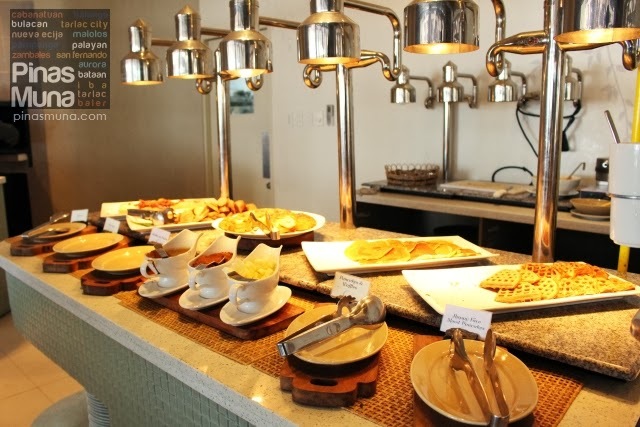 Checked-in guests can start their mornings at Costa Pacifica with their impressive breakfast spread paired with a cup of brewed coffee or a refreshing glass of fruit juice. 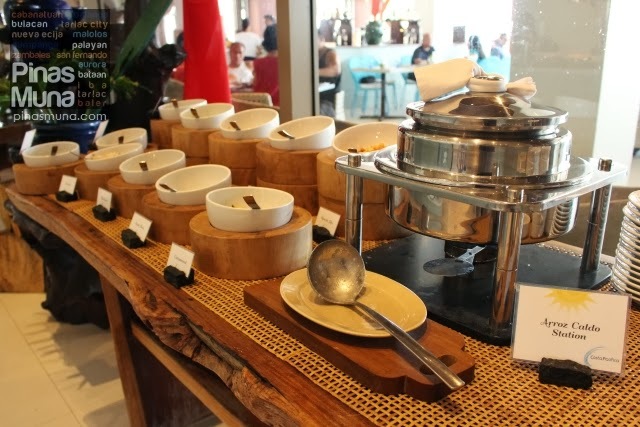 They have rice porridge with a dozen or more options of toppings, a variety of freshly baked bread, cheeses and jams, pizza, bacon, sausages, pancakes and waffles, omelette, fresh fruits and a good selection of Filipino breakfast dishes. 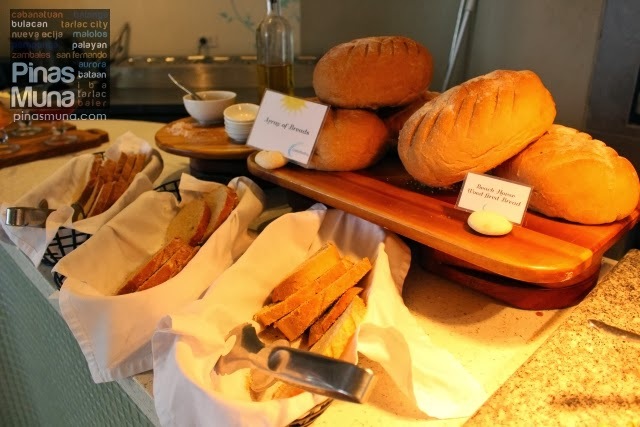 Beach House bakes its own bread and they serve them fresh from their wood-fired oven. 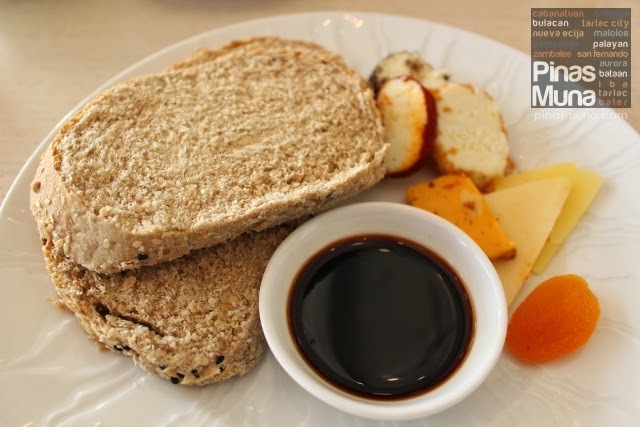 You can choose from a varierty of locally produced cheeses and jams to go with your bread, or you can simply have your bread toasted and top it with butter, coco jam or peanut butter. 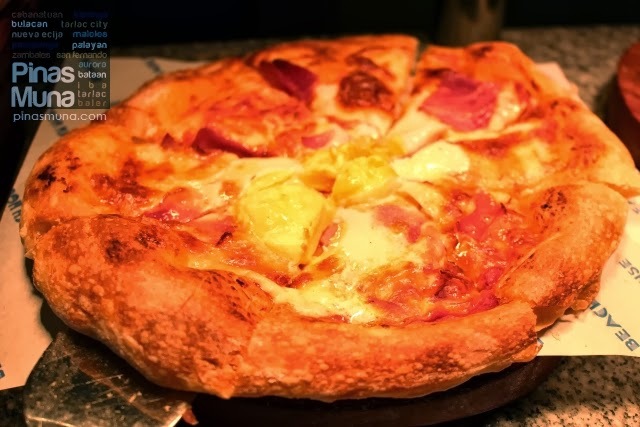 A unique breakfast offering at Beach House is their Breakfast Pizza. It's basically a pepperoni pizza topped with egg in the middle. These are so in-demand that there is always a fresh batch baking inside the oven. A warm bowl of congee will surely jump start your morning. The Arroz Caldo Section has a wide selection of toppings for your congee. 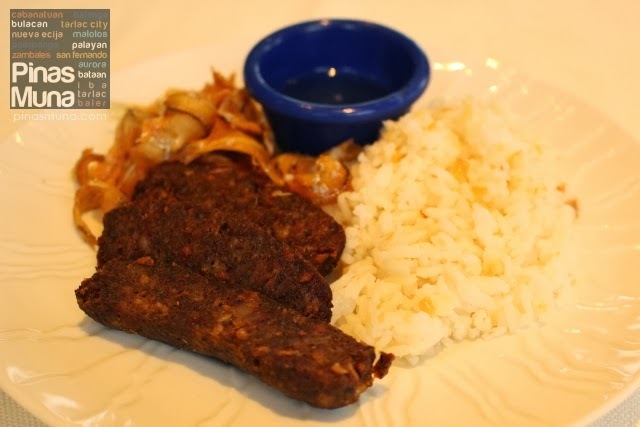 We highly recommend the bagnet and tofu combination. If you feel like having a Korean-style congee, you can go for the Kimchi Tofu as topping. 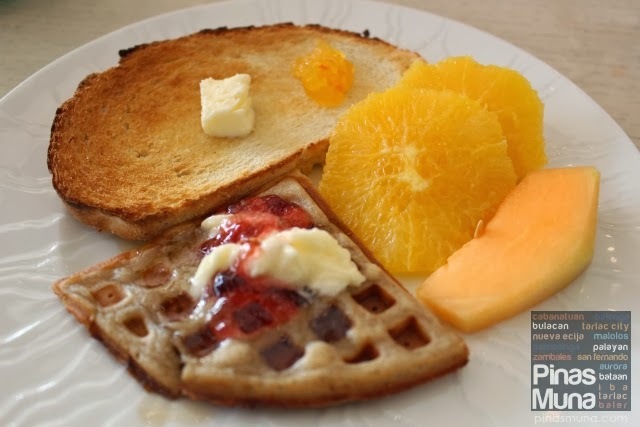 For some, breakfast won't be complete without pancakes and waffles. 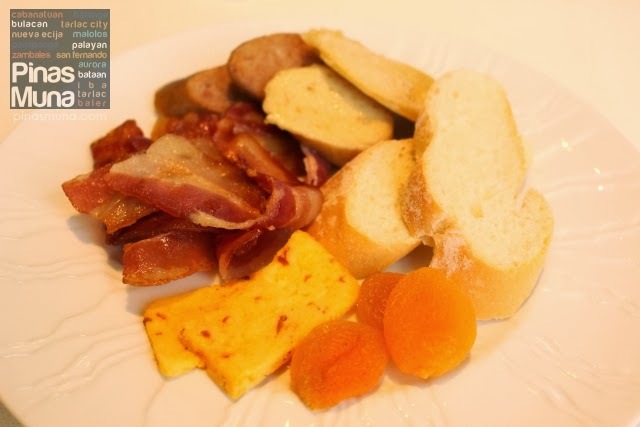 Why not complete your American breakfast with bacon and sausages. 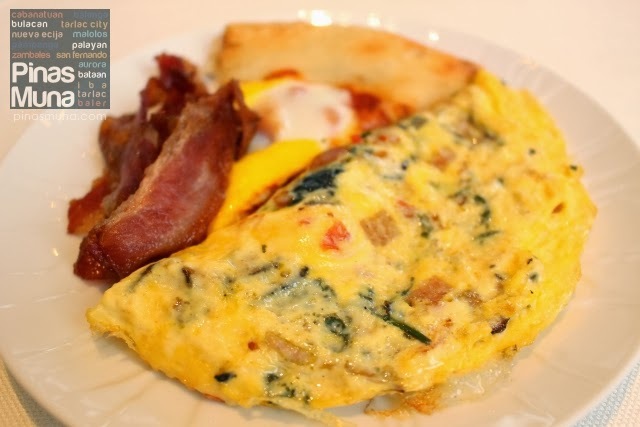 For an extra boost of energy, have yourself a customized omelette. Have it Baler-style and add pako (fiddle fern) in your omelette. If you prefer a light breakfast, there's also a selection of fresh fruits that go perfectly with their fresh fruit juices. 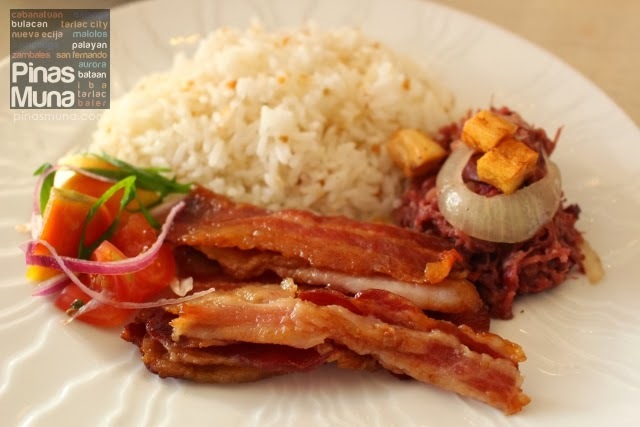 If you are up for heavy breakfast, there's fried rice paired with all-time favorite Filipino breakfast dishes like dried fish (biniklad na dilis), daing na bangus and corned beef. 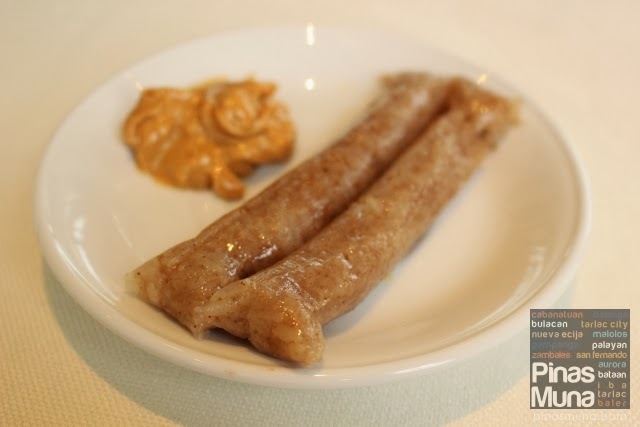 If you are lucky, you can chance upon Baler Longanisa served at the buffet table. 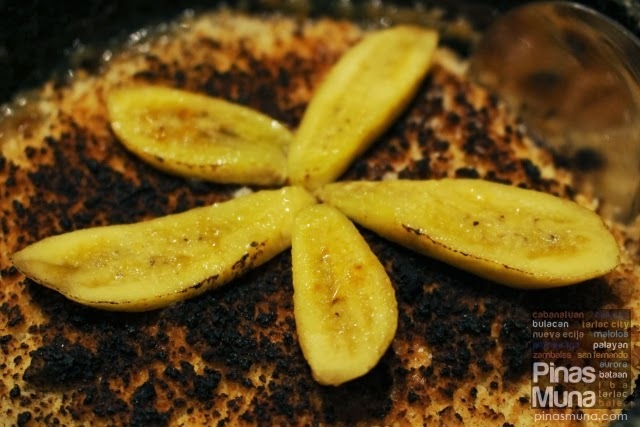 Don't forget to pair it with the Casiguran vinegar. 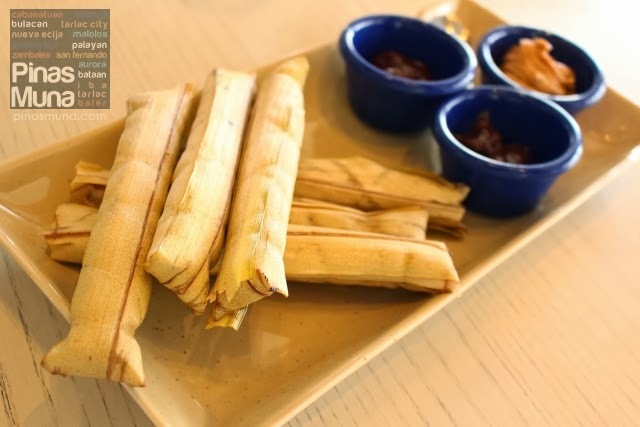 An of course, breakfast at Costa Pacifica is never complete without their famous Baler Suman paired with Nanay Pacing's bestselling peanut butter and cocojam. 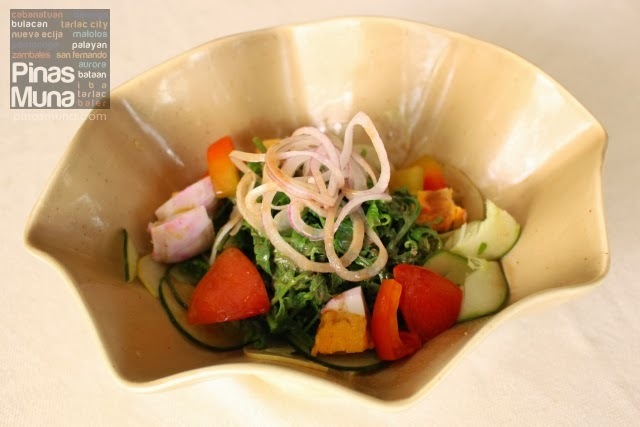 Ensaladang Pako (P195.00/US$4.40) is a refreshing salad made of native fern (pako) mixed with salted egg, tomatoes, cucumber, onion, and bagoong balayan dressing. 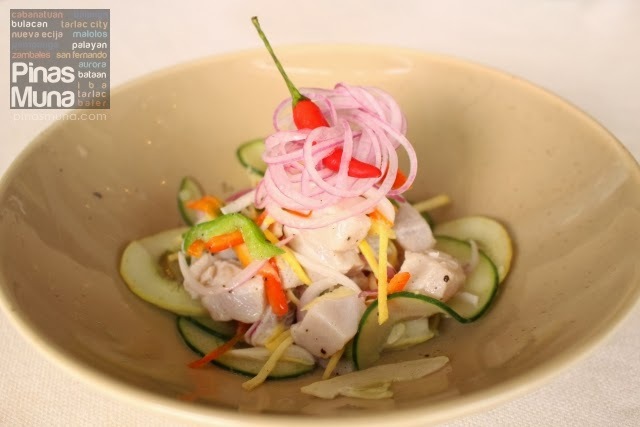 Kilawin (P295.00/US$6.60) is a famous seafood dish in the Philippines made of raw fresh fish meat marinated in vinegar. 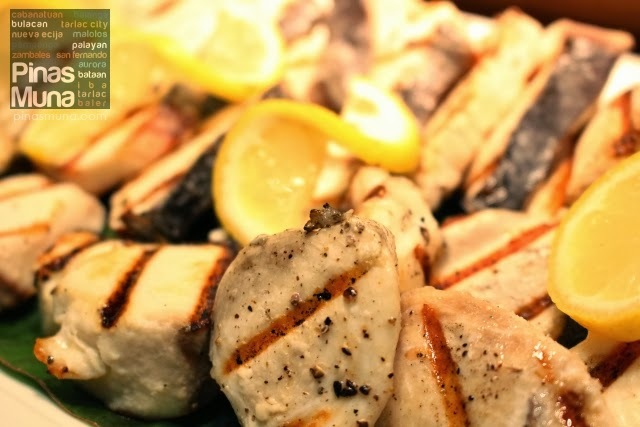 Beach House uses the finest and freshest fish in their kilawin which has been given a Baler twist by using a vinegar locally produced in Casiguran, Aurora. 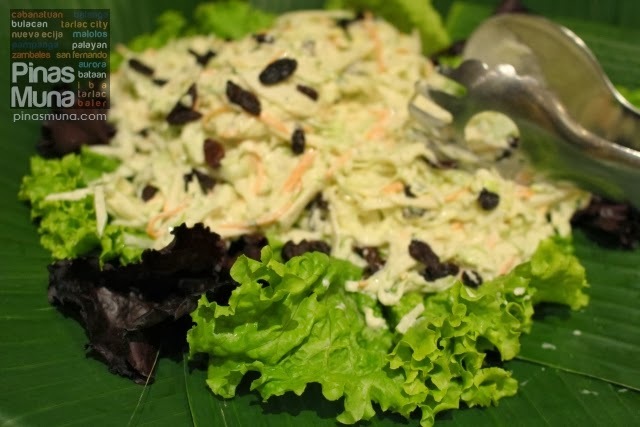 It is then mixed with cucumber, onion and ginger and sprinkled with ground pepper. 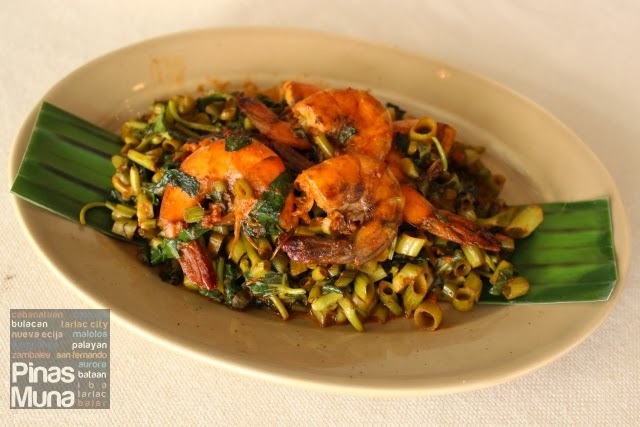 Shrimp & Aligue Kang Kong (P295.00/US$6.60) is a flavorful dish made of chopped kangkong (water spinach) cooked in a sauce mixed with aligue (crab fat) and topped with shrimps. It's perfect with plain white rice. Costa Beef Belly Sinigang (P520.00/US$11.70) is a gourmet version of the Filipino favorite soup dish, the Sinigang. 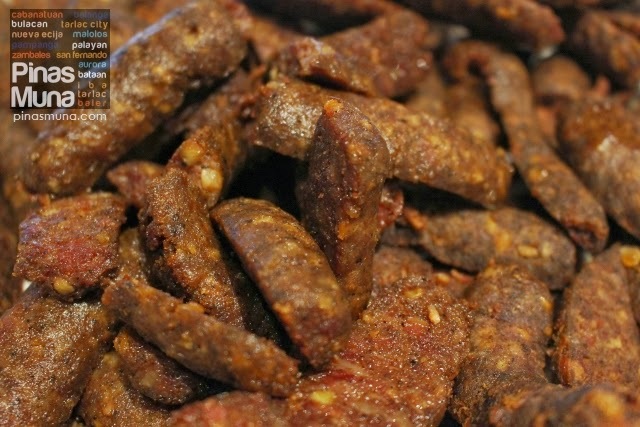 The Beach House version has a thick red sauce using native tomatoes and tomato paste as pampaasim (souring agent). 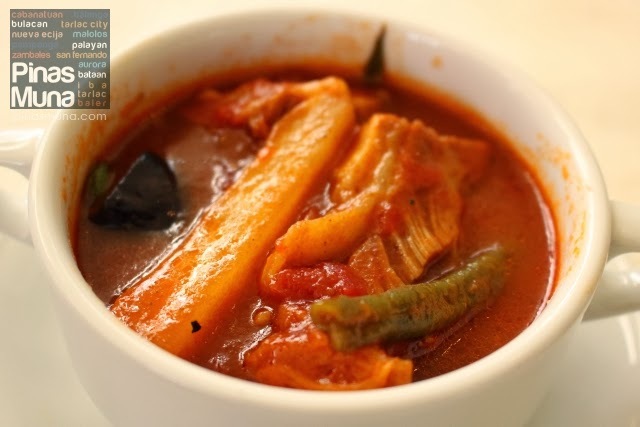 The premium beef belly was perfectly cooked in the stew to a very tender texture while local vegetables such as sitaw and labanos add a crunchy contrast to the dish. 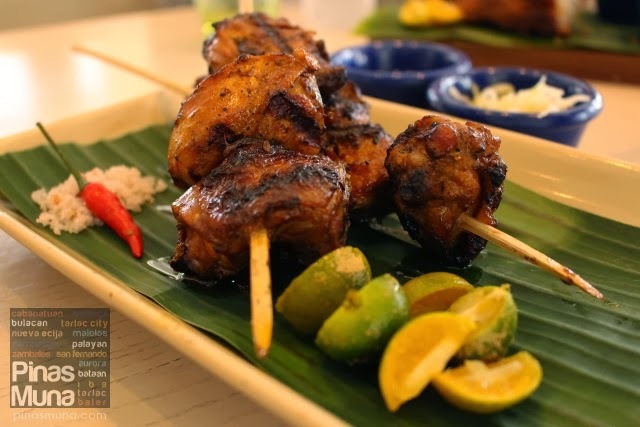 Grilled Chicken Inasal (P320.00/US$7.20) reminded us of the BBQ Chicken Inasal served at Raintree's Kabila Filipino Bistro with the tender chicken meat oozing with juiciness the all the goodness of the inasal flavor. It is served with chili salt, atchara and Casiguran vinegar. 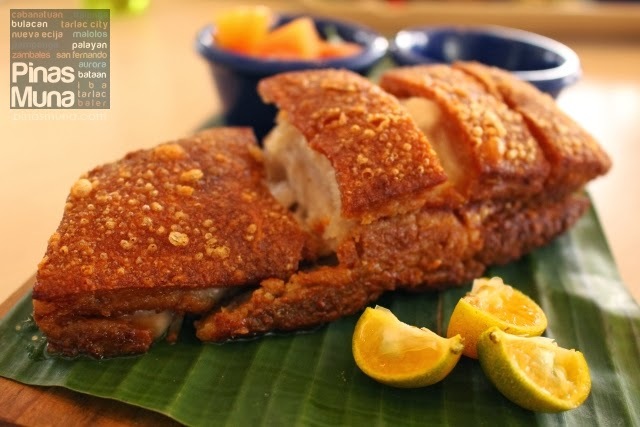 Ilocos Style Bagnet (P350.00/US$7.90) will definitely transport you to Ilocos. 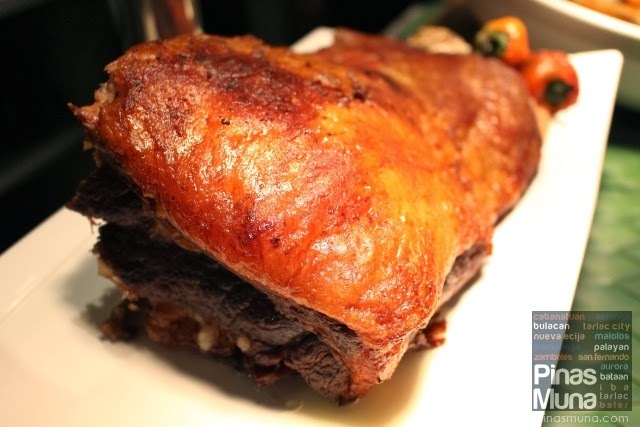 The ultra crispy skin and the savory pork meat will make you forget you are in Baler. 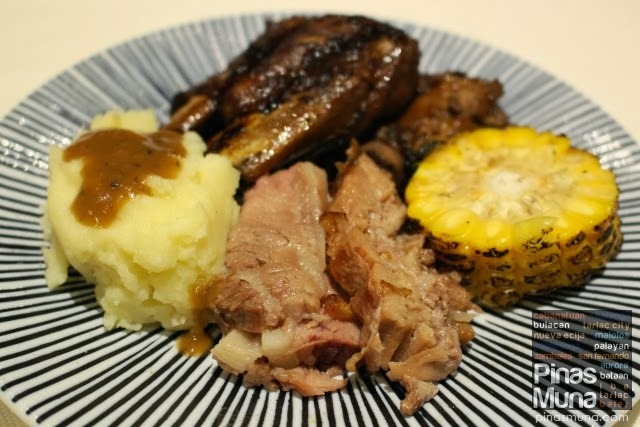 If it's not mouth-watering enough, then match the bagnet with Casiguran vinegar and a side of KBL - kamatis, bagoong and lasona (tomatoes, fish paste and onions). If you want it spicy, you can enjoy the bagnet with chili salt. 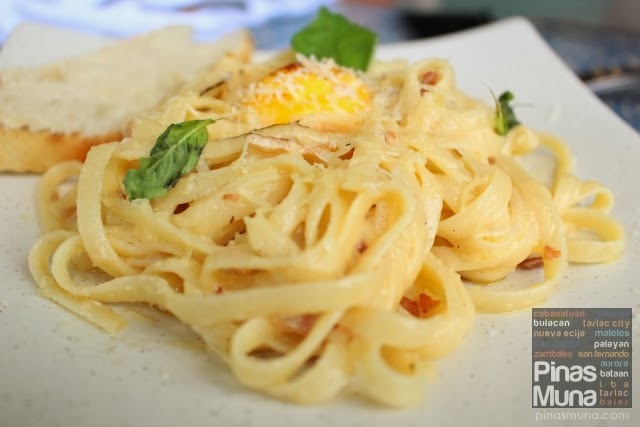 Classic Bacon Carbonara (P350.00/US$7.90) is made creamier and more heartier with a topping of poached egg. 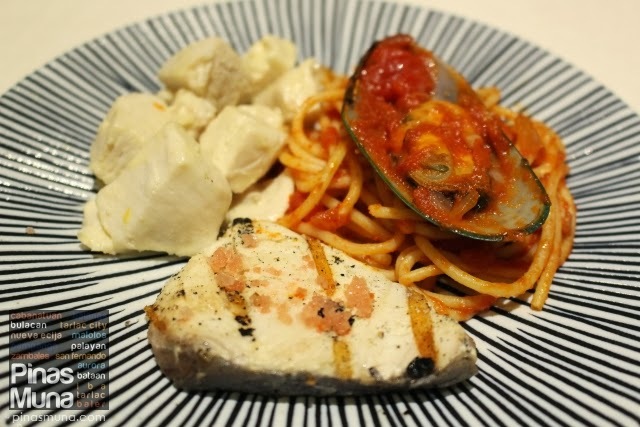 Mix and enjoy this pasta dish with a serving of plain crostini. 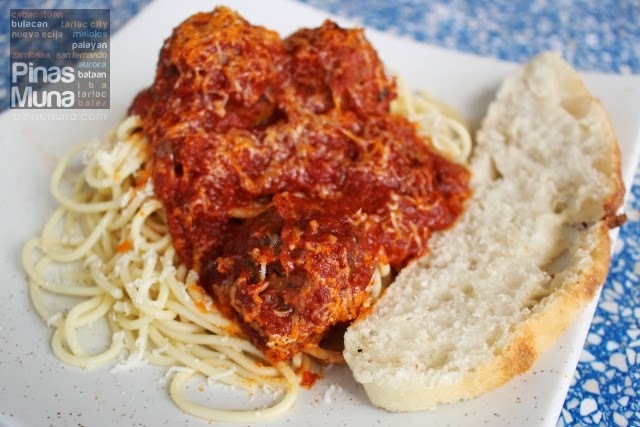 Spaghetti with Meatballs (P350.00/US$7.90) the way you always love it. Aldente spaghetti noodles mixed with rich tomato sauce and topped with sumptuous meatballs and Parmesan cheese. 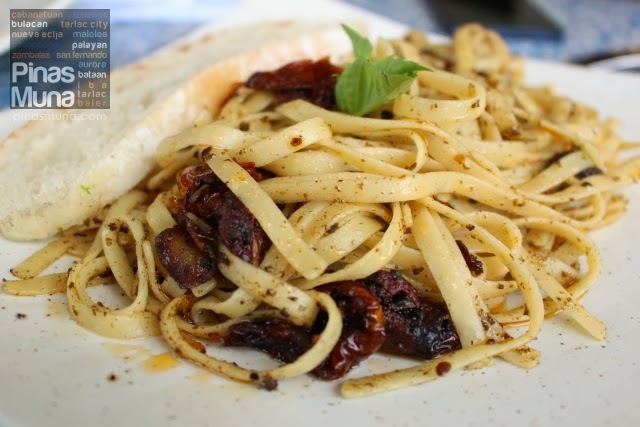 Basil Pesto, Sundried Tomatoes & Pine Nuts (P350.00/US$7.90) is a healthy vegetarian pasta dish with a light spicy pesto sauce and mixed with sweet sundried tomatoes. 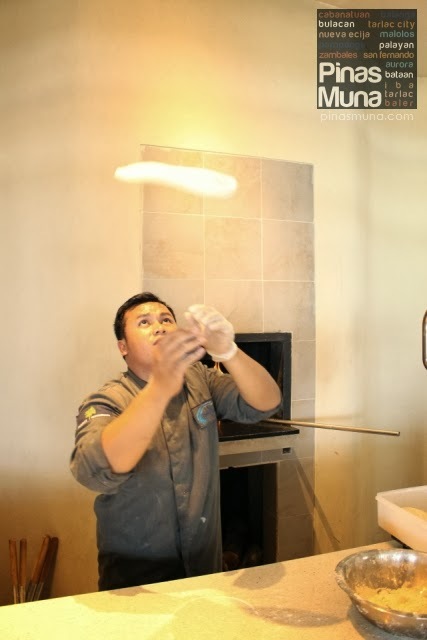 Wood-Fired Pizzas are prepared using the finest and freshest ingredients and are cooked inside the wood-fired oven of Beach House. 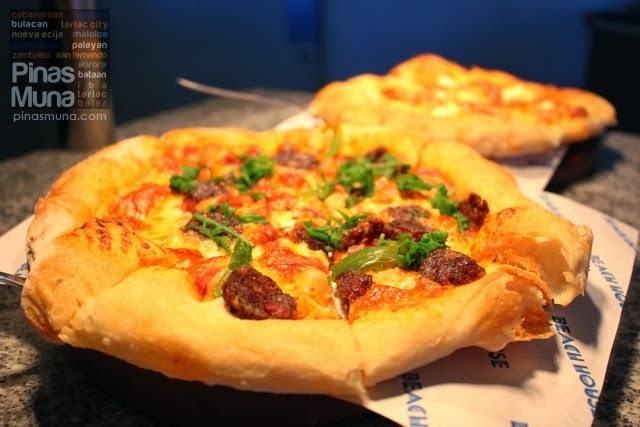 We highly recommend the Baler Pizza (P295.00/US$6.60) made with Baler Longanisa and topped with fresh pako. Another best-seller is the Tinapa Pizza (P350.00/US$7.90) made with premium smoked fish and pesto sauce, and the Cheesy Four Cheese Pizza (P395.00/US$8.90). 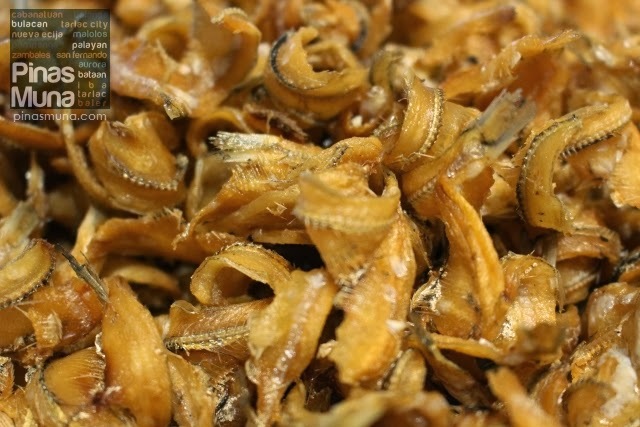 They are best paired with ice cold soda or beer. 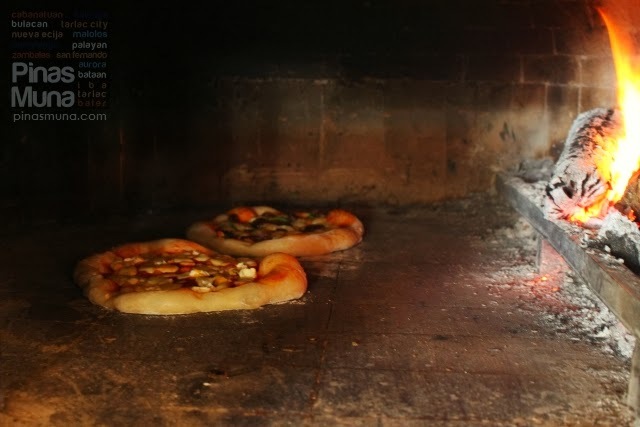 You will equally enjoy these pizzas on the road back to Manila. Beach House will gladly pack a box of your favorite pizza for you to enjoy on the go. Just order in advance and you can pick-up your pizza upon check-out from the resort. They're perfect for breakfast and they are equally good as dessert or snack. 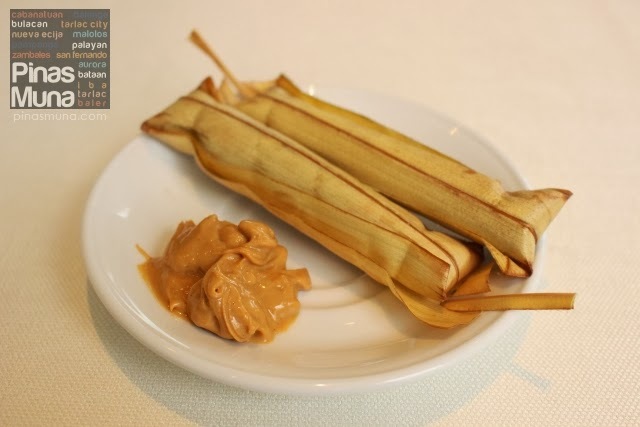 Baler Suman with Peanut Butter and Coco Jam is available at anytime of the day at the Beach House. 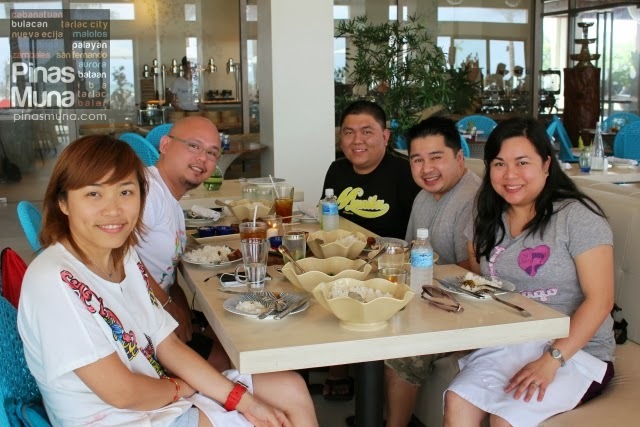 Beach House occasionally serves buffet dinner especially during a busy weekend at the resort. 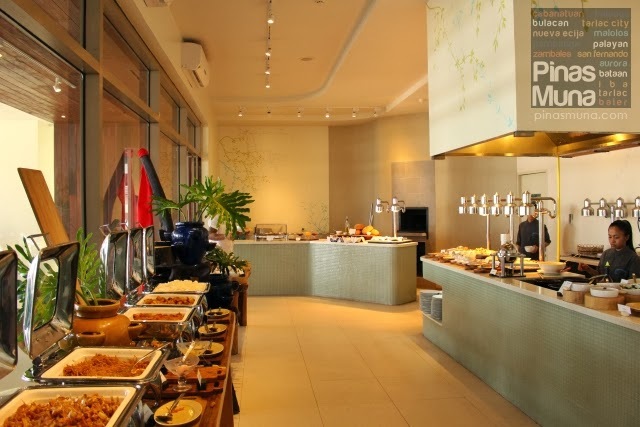 Just like their buffet breakfast spread and their a la carte menu, their buffet dinner also features local and international cuisines. 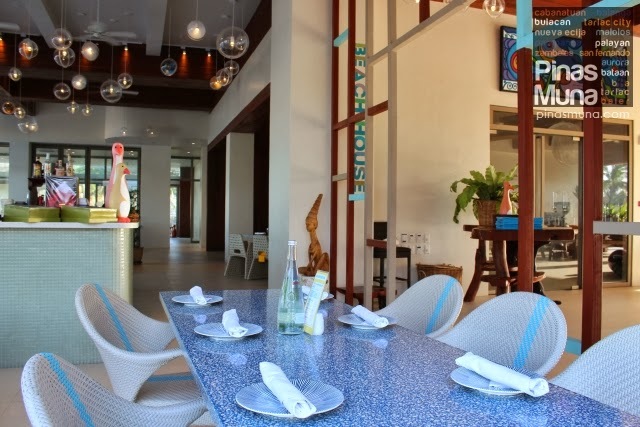 More that a restaurant, Beach House is a destination in itself. 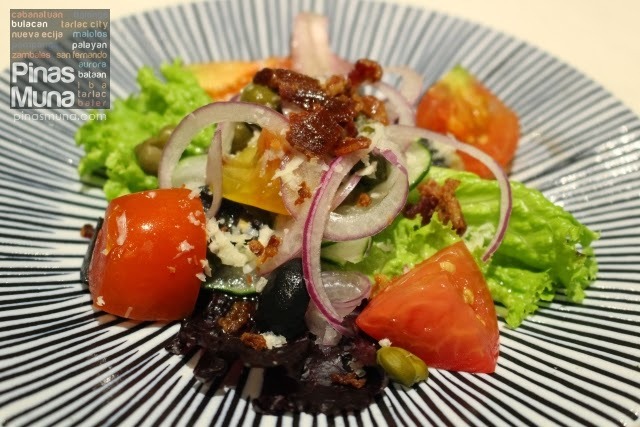 It has totally redefined the Baler dining experience and moved it to the next level by combining international and local flavors and using the freshest and finest ingredients. 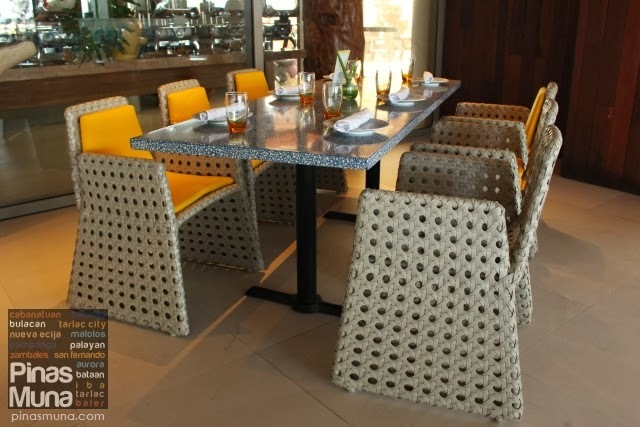 On your next trip to Baler, do try out Costa Pacifica's Beach House and experience a one of a kind gourmet dining with your friends or family. 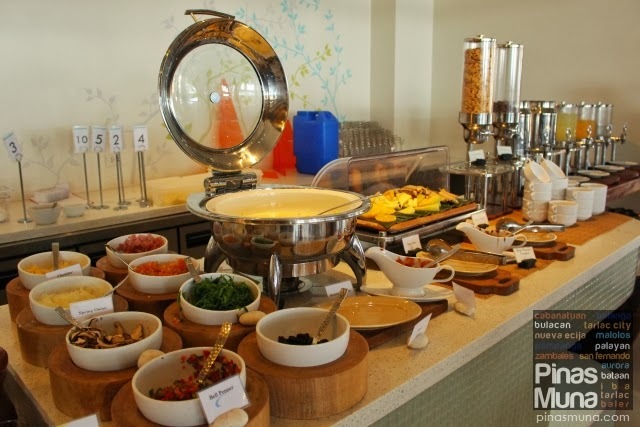 Nice post!Can I enjoy the buffet breakfast even if I am not a checked-in guest?